Numerous oil company earnings will be released this week, and it could be the most dismal set of oil earnings of 2015. With prices at eight-year lows and production at 80-year highs, U.S. oil companies are struggling to achieve profitability and float expensive drilling projects. But Big Oil corporations will start to thrive in the low price environment as they continue to take over small energy firms. Recent deals like Energy Transfer Equity LP’s (NYSE: ETE) $32.6 billion takeover of Williams Companies Inc. (NYSE: WMB) show how M&A activity will make the market a lot leaner moving into 2016. That’s why this week’s round of earnings are so important. 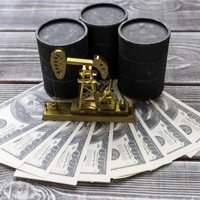 They will indicate whether these oil firms are raking in enough cash to make a huge acquisition down the road. Oil Company Earnings to Watch, No. 1: BP Plc. 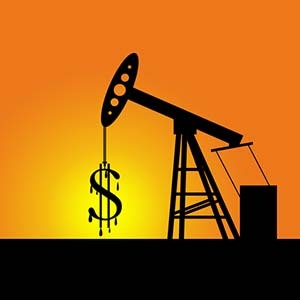 (NYSE ADR: BP) stock plunged 23.5% between July and September. The British oil titan’s market performance suggests another disappointing earnings report as the firm suffers from declining U.S. rig count and soft demand in China. The company is still recovering from the Deepwater Horizon oil spill it caused in 2010. During the second quarter, BP paid $9.8 billion in costs for the spill. On Oct. 6, the firm announced it would pay a $20.8 billion settlement resolving all claims against BP charged by the U.S. Department of Justice. It’s considered the largest settlement with a single company in U.S. history. In Q2, BP posted a profit of $1.3 billion, down 63.9% from the year-ago quarter. The company will release its Q3 earnings report after the closing bell on Tuesday, Oct. 27. These results scare me as well as the many people in the bekken oil field that have been laid off. I and we (co-workers) saved our earnings for the future which is now, adjustments in living status and so far as to rely on states assistance, what ever state we may live. Theres work out there, in the oil field ,however the safety level is extremely high, unlike anyother. The union i belong to took great steps to teach, show and explain safety techniques in the class room aa well as the field, much more than the nonunion employers. In short, i cant afford to be injured by a nonunion scab. Thankyou.